The definition of structured cabling systems is associated with a complete system consisting of cabling along with the necessary hardware. This system is designed to provide your business with an all-inclusive telecommunications infrastructure. The infrastructure once implemented will provide you with many uses. Some of these include transmitting data through your computer network and telephone services. This system is not device dependent. 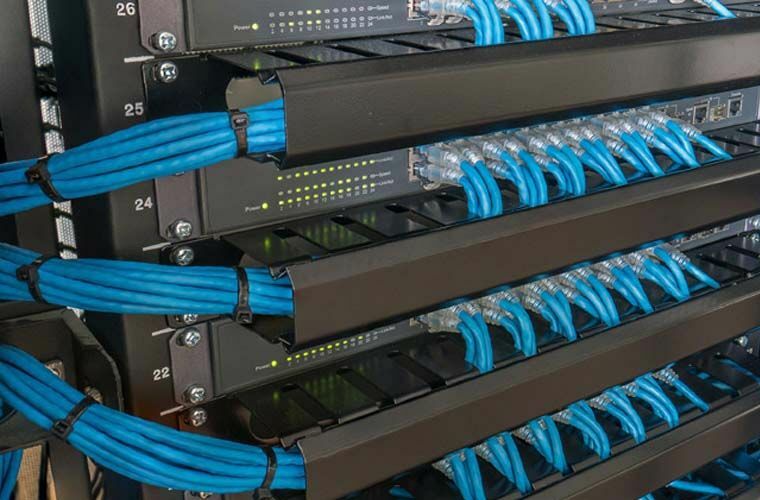 OVDC short for Ohio Voice Data Cabling is a locally owned provider of technology solutions that offers services in regards to the design, installation and the servicing of structured cabling systems. The techniques they use to install and then maintain these cabling installations are standard. This is because standardization becomes necessary in the process related to installations to guarantee a system performance that is acceptable associated with these complex arrangements. The following information about six subsystems related to structured cabling systems is derived from 2 standards. These include Generic Telecommunications Cabling designed for Customer Premises. This is the system used for the generic infrastructures and the Commercial Building Telecommunications Cabling Standard. This system is typically used the most for commercial type building infrastructures. The EF more commonly known as the Entrance Facilities consist of the protection devices, connecting hardware, the networks demarcation point or points, cables and any other type of equipment that is planned for use to connect to an AP ( access provider) or PNC ( private network cabling). This subsystem includes connections that occur between inside the building and outside plant cabling. The centralized space that is environmentally controlled for the telecommunications equipment has been regarded as typically more complex when compared to the TR (telecommunications room) or the TE (telecommunications enclosure). This space is usually the place that stores the MC (main cross-connect) which is Distributor C and can also house the ICs (intermediate cross-connects) which is the Distributor B, HCs (horizontal cross-connects) the Distributor A or it could house both. A TE or TR houses terminations of the backbone and horizontal cables that connect to hardware that includes any patch cords or jumpers. These locations can also contain MC or IC for various portions of the backbone cabling system. The Telecommunications Enclosure and Telecommunications Room provides controlled environments to maintain splice closures, connecting hardware and telecommunications equipment. Horizontal cabling systems will extend from the telecommunications-information work area outlet onto the TR (telecommunications room) or the TE (telecommunications enclosure). This subsystem includes the patch cords, jumpers, mechanical terminations, horizontal cable in the TE or TR and can incorporate MUTOAs (multiuser telecommunications outlet assemblies), along with CPs (consolidation points). The cable length of horizontal cables cannot exceed 295ft or 90m which is independent of the media type. When MUTOA has been deployed the horizontal twisted-pair cables, maximum length will be decreased. The WA (Work Area) components will extend from the connector or outlet end of the relating to the horizontal cabling system onto the WA equipment. There need to be at least two telecommunications outlets that are permanent links provided for every work area. The MUTOAs (multiuser telecommunications outlet assemblies), when used, form a part of the Work Area. The cabling industry in the U.S accepts the TIA or the EIA in conjunction with the ANSI(American National Standards Institute) as an organization that is responsible for maintaining and providing practices and standards within this particular profession.